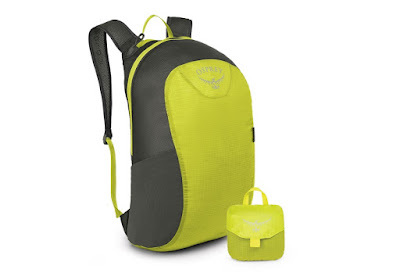 Recently we reviewed the Osprey Farpoint 40; a 40L backpack designed to be carried onto aeroplanes while also providing enough space for al your stuff. 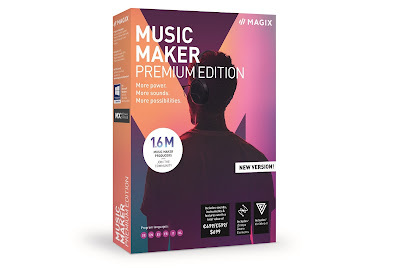 We were massively impressed by it, especially because it made our Brussels trip so easy, therefore we're checking out yet more travel goodies from the backpack maker. Once you arrive at your destination the last thing you want is to have to lug around your large backpack or suitcase while enjoying your trip. The Osprey Ultralight Stuff pack solves that issue by being an 19L backpack that compresses and folds up to something no bigger than a tennis ball. Drop it in your bag while packing, and whip it out when you get there to carry around your wallet, camera, drone, etc. 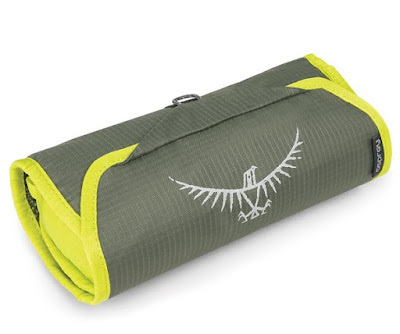 Once deployed, the Ultralight Stuff Pack features a main compartment, a small zip-closing internal pocket (which functions as the stuff sack itself when folding it up), a key hook, and also a stretchy external pocket for water bottles. The straps are adjustable and breathable, and the whole thing only weighs 0.09kg. 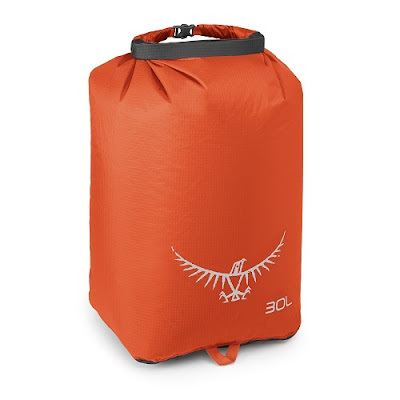 This range of simple sacks, which come in 3, 6, 12, 20, & 30L versions, are designed to keep whatever is inside them dry as a bone. 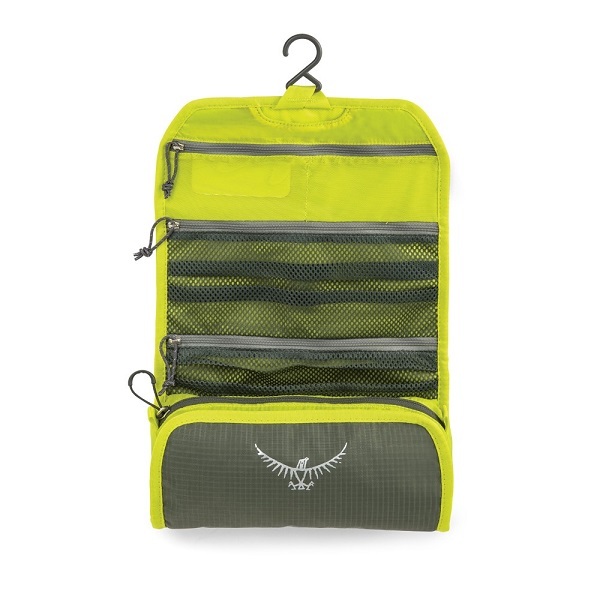 If you're going somewhere wet and need to keep your pants completely dry, drop them in one of these, roll the closure shut, then fasten with the clip. The siliconised ripstop nylon will keep the moisture out, offering great peace of mind. 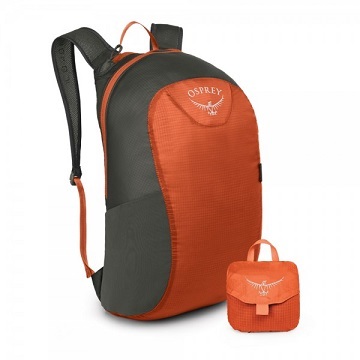 Osprey kindly sent us the three largest sacks to try out, and they are quite remarkable. We found that as well as keeping clothing dry, the smaller sacks would be good for the likes of cameras and personal gadgets, to add a layer of protection in your pack. In fact, we even used the 30L sack as a pillow – such is the air-tightness of that roll-top closure. Unravel this compact pack and you have everything you need to keep your travel toiletries safe and organised. The roll features several zipped compartments, including a large one at the bottom good for a shaver, while also possessing a small pop-out mirror at the top. The Osprey Ultralight Washbag Roll unfolds easily and can be hooked up, allowing quick and clean access to your bathroom essentials. Keeping your toiletries in one place like this is always a big boost to convenience and also speed when moving through airport security. 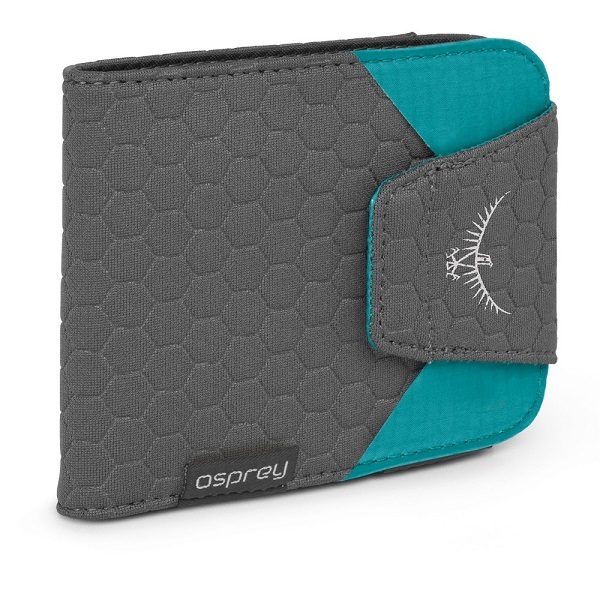 Obviously you wouldn't be able to go anywhere without your cards and cash, and Osprey's Quicklock Wallet is a great way to keep it all safe and secure without adding extra bulk and weight to your kit. The wallet doesn't feature any buttons or metal clasps, instead sealing by way of a stiff flap which tucks in to keep it closed tight. Inside there are multiple card slots, a see-through mesh coin pocket, and also two areas for notes, one of which is hidden from view. It feels tough and rugged in the hand, and is easily gripped so you won't go dropping it down a drain or a cliff. Which happens. This is an accessory that we never knew we needed. The Osprey Document Zip Wallet has been designed to safely stow all those important travel documents that you might need for your trip, such as Passport, tickets, boarding passes, ID, tokens, etc. It can all be fastened up inside this stiff, large, zip-closing wallet. 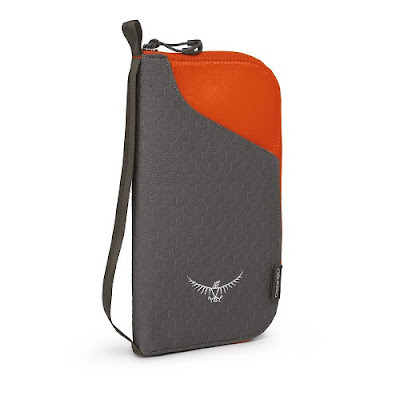 There are zipped pockets on the inside, as well as credit card sleeves, and even little elastic straps to keep the likes of passports and tickets securely in their pockets. There is also a little carry strap as well, making it easy to hold and secure within your main pack. Infinitely useful.